1. It's a moissanite, too. What is a SUPERNOVA Moissanite? The SUPERNOVA is a new moissanite available now, and we are SUPER excited (see what I did there?) to be the first retailer on the planet to sell them! They are gorgeous, and are being cut in a huge array of sizes. 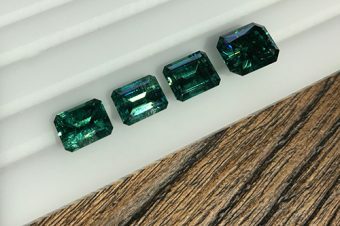 Plus, we can also get custom cuts, so if you were interested in, say, a 12 carat emerald cut let us know, we gotcha covered. 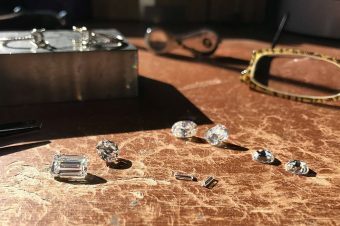 You'll see many new types of moissanite coming to market this year and into the future - it's likely going to get very confusing for all of us. We have done the research and chosen the best of the best moissanite to carry in our shops, so all of the moissanite brands we sell are absolutely tops, in quality, clarity and color. The SUPERNOVA is colorless, meaning they are D-F in color. 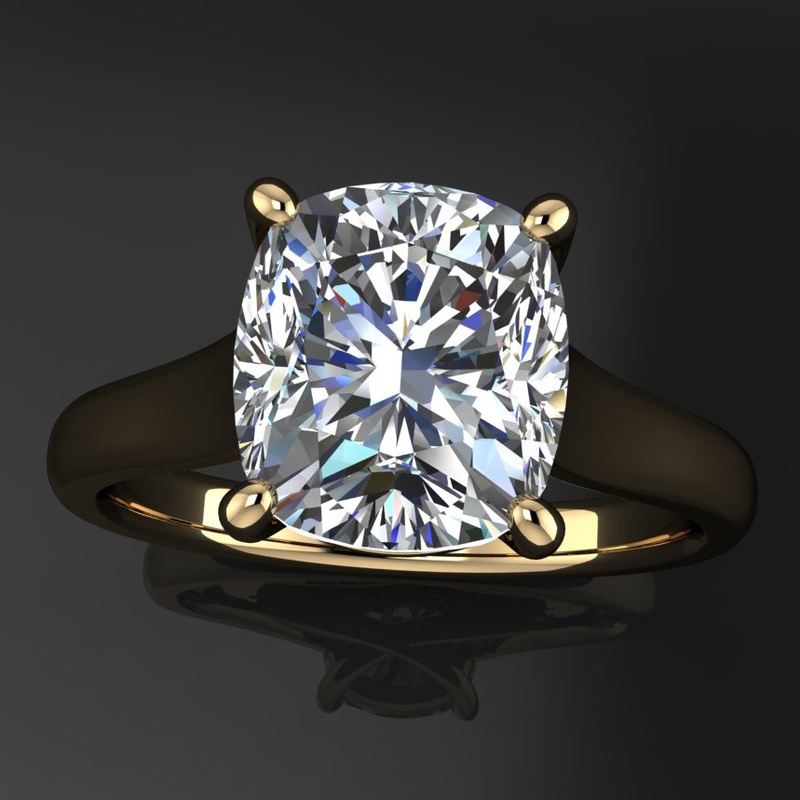 Moissanite is a very durable material for a man-made stone, at 9.25 on the mohs hardness scale. That makes them harder than a sapphire or ruby, and second only to diamond, so these stones will stand up to a lifetime of adventures. Or chillin' out, if that is more your thang. They have excellent clarity - their cuts were all developed by an engineer at Moissanite International, so you know they are spot on. 3. They are big. And small. 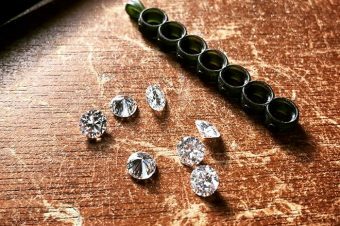 The SUPERNOVA moissanite comes in a huge range of cuts(shapes) and sizes - if you'd like a funky anniversary band with a bunch of pear cuts, a delicious but not too big 3 carat oval, or a whopping 9 carat emerald cut, we've got all those, and more. If you want a custom cut stone in a size we don't typically offer, let us know, we can do that, too. Like twenty carats. Ain't no joke. 4. They are fairly priced. 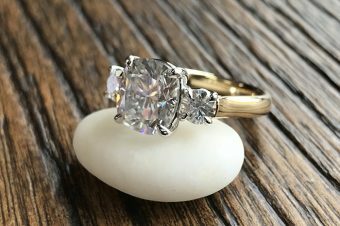 As new moissanites continue to flood the market, you'll find pricing will be all over the place - a higher price does not necessarily mean higher quality. 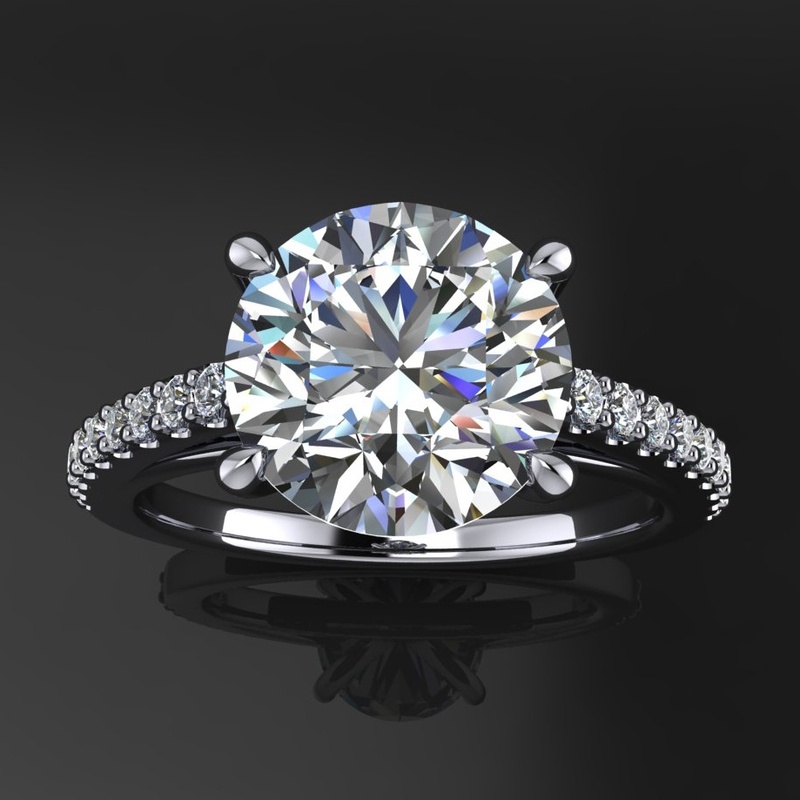 Some pricing examples: a SUPERNOVA 1 carat round will run ya $440, and a 2 carat round $925, 3 carat is $1,410. The fancy cuts are a bit higher but still a fab price, especially when compared to a diamond. 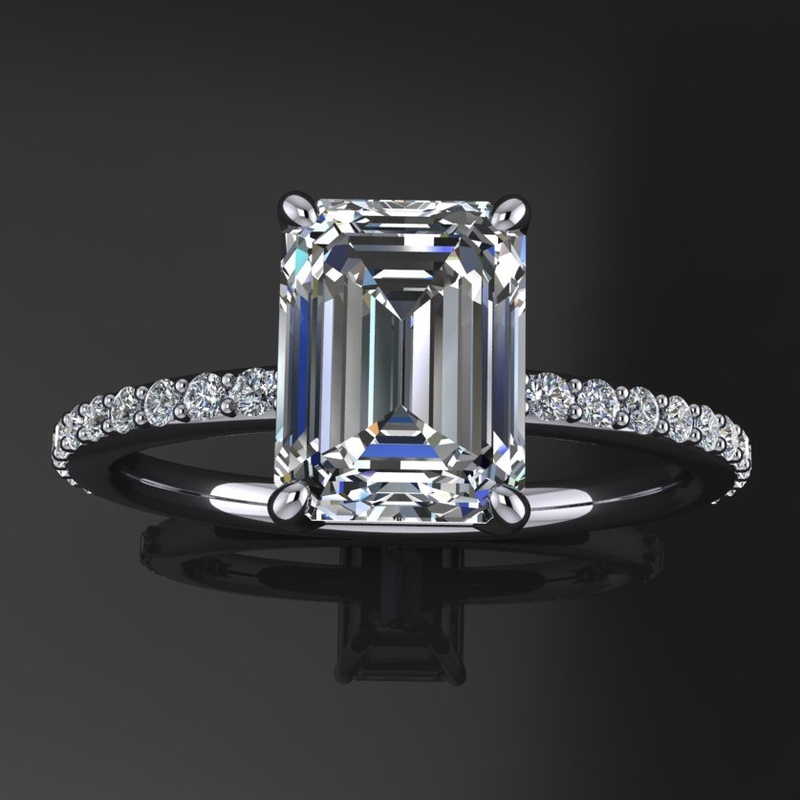 A 2 carat cushion cut will run $1,440, a 2.46 carat emerald cut $1,660, a 2.7 carat asscher $1,520. Let's price out a monster, shall we? A 7 carat oval will run $5,490. To compare, a 5 carat H color, SI1 oval cut diamond - that's much lower color and clarity than the SUPERNOVA - would run around $120,000. You know, give or take. So $24,000 PER CARAT. Alrighty then. The SUPERNOVA hails from down unda, and they are manufactured by Moissanite International. 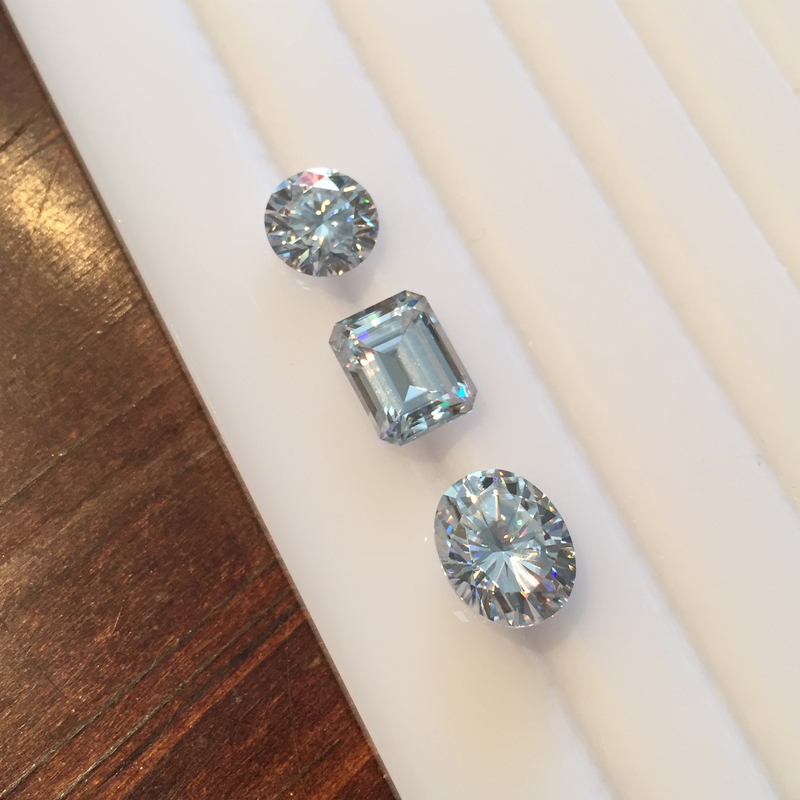 The folks who developed these beautiful stones have been selling moissanite for many years, so they know their stuff. They are the only manufacturer that has all the magic happening under one roof - they formulate their own pure Silicon Carbide powder, grow the material, cut the rough and then the jewels with 65 on-site cutters. Pretty awesome. They will only be selling these stones to the trade - meaning you can purchase them through us here at JHD, or if you happen to swing by Sydney, Australia, you can visit their flagship retail store. G'day! We will be adding all kinds of beautiful rings, earrings and other bits featuring the SUPERNOVA in the coming months. Any of our current pieces can also be set with them. For the short term, turnaround time is longer for a SUPERNOVA moissanite engagement ring or pendant. They are working hard and cutting stones like mad, to increase their stockpile of gems. Our typical engagement ring turnaround is 4-6 weeks, for a SUPERNOVA ring, it will be closer to 8, at least for the short term. The nice thing is, once they pack up and ship us a parcel, it arrives within 3-4 days! We feel these beauties are worth the wait. Also, keep an eye out for several (rather awesome) giveaways featuring our beautiful jewelry, with the new SUPERNOVA moissanite. These are exciting times in the world of moissanite! And overwhelming. Stick with us, we'll sort it out together. 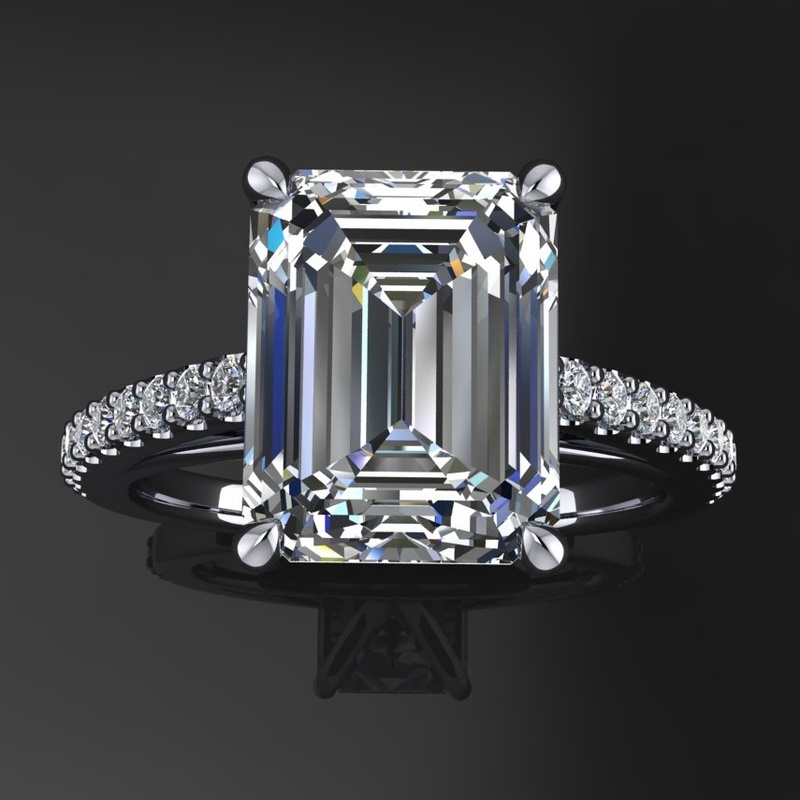 My heart is fluttering away thinking about an asscher.. Have you seen one yet? I know CC released one but I wasn’t crazy about it… I have so many step cut jewelry plans, this is so exciting! Hey Riane! I saw a photo, but haven’t gotten one in hand yet. We did confirm with the manufacturer that they are not see-through like the F1, so that’s good news. I’m sure they are gorgeous, all of their other stones are – did you see the videos on Instagram? I have! 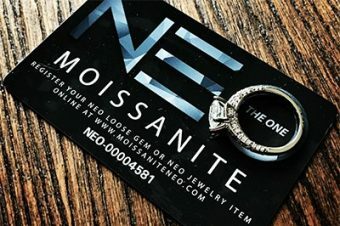 I’m so amazed by how far moissanite has come, and I’m honestly glad that other companies are now able to offer different options. Now if only SUPERNOVA came in an AVC and an OEC.. You may have already said this in another post, but when will SUPERNOVA be available to purchase? Indeed, those cuts are so pretty! I have submitted requests for our vendors to consider cutting those shapes, along with an elongated cushion. You can purchase one today if you’d like! lol We need to add some rings to our web shop and Etsy, it takes a good bit of time, so we are doing it in between orders and custom designs. I have one posted so far on Etsy. Woo-hoo! Ha. OH, that would be amazing! 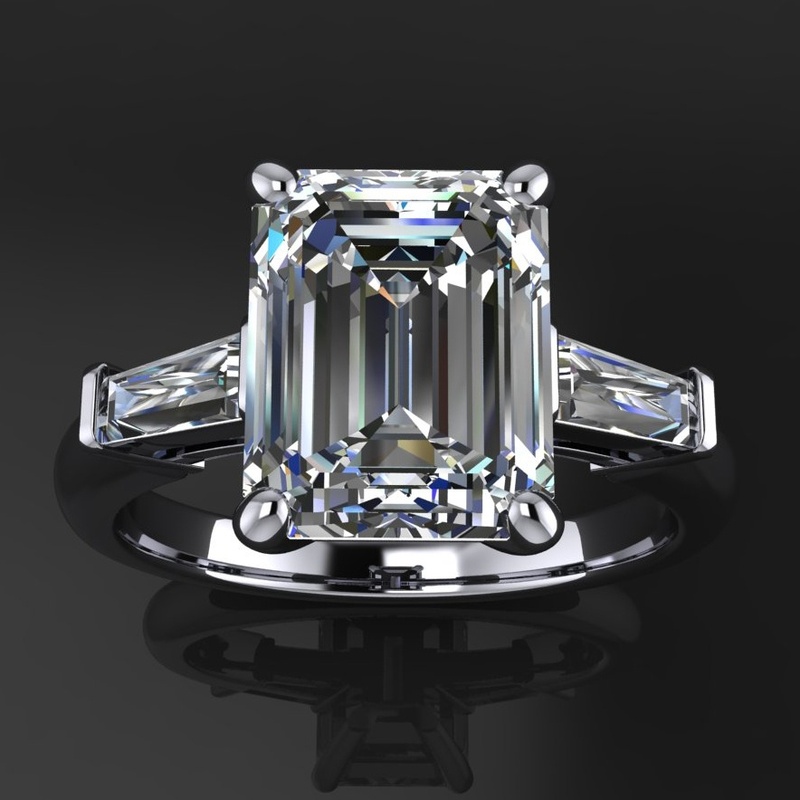 I am constantly changing my mind between an asscher, an avc and elongated cushion.. I also really prefer moissanite for loads of reasons, if those also come out I’ll have a hard decision to make! Hi Jen, do you by any chance have a video of the 2.8 carat supernova on a hand? I would like to see how big it is and the color of the stone. What color would you say it is compared to a diamond? Does it really look diamond-like? Im trying to wait for an Amora Gem Krupps, but am considering supernova if it is very comparable to a diamond. Thanks Jen! They are E-F in color, so colorless. Very diamond-like, I’m loving their emerald cuts! Want to whip up a new ring for myself with one. With BTD, they are focusing on cutting rounds for now, then we were told cushions up next, maybe squares and Krupps after that. No idea on timing, though. oops- just saw your comment now. I have my heart set on a vintage cushion I think 🙁 I wish the amora gem avc was available! What do you think the chances are of a vintage cushion cut moissanite happening within a year is? Hi Jen what is the difference between a Neo and a Supernova of the same colour rating? I’m looking to get a two to three carat Oval stone when I find the best quality and price. Hey Roger! Good question. They both cut a beautiful oval, and have carat sizes in that range. In the SUPERNOVA, they have colorless ovals (E-F) and we need a 4 week lead time to get stones cut, as they are cutting them to order for us, while working on getting their production up. NEO has a warranty, SN does not. In the NEO, their near colorless (G-H color) ovals should be avail fairly soon, they placed a huge order this week to stock up for us. They will also have E-F ovals in the not too distant future. NEOs are typically less expensive, esp in near colorless. Both brands cut a beautiful oval and are tops, quality wise, otherwise we wouldn’t be selling them – we did a lot of research before deciding to sell either brand. Did you check out videos on Instagram of the stones? Were you looking for near colorless or colorless stones? Let me know if you have any other questions, we are happy to help! Thank you Jen. I think near coulorless would be fine and I would need to know all about the warrentee/return policy. Also I want to get the finest cut I can find in an Oval Moissanite. Please tell me all about the cuts that will be available now and in the future. Are all MI’s cuts done by hand or are they experimenting with machines like the Tiger Robot? With the industry’s developement I know that it’s just a matter of time before Moissanite Oval gems become available in a perfect to near perfect hearts and arrows cut, and I want to be one of the first to get one of those baby’s???? Hey Roger! 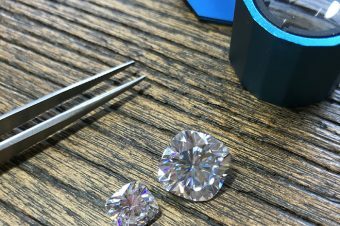 All SUPERNOVA and NEO moissanites are cut by hand. Amora gem is the only company that uses a robot to cut their stones. Hi Jen, have you ever posted an emerald cut moissanite next to an emerald cut diamond? If not, I would really like to see that. I am mixing diamonds with moissanite and need to see them together first to compare. Thanks! Hey Michelle – I have not! If I had an emerald cut diamond, I def would do that comparison, but alas, I do not. 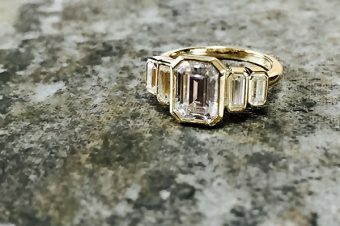 😉 Emerald cut moissanite is very diamond-like. Since they are step cut, they kick back less disco-ball fire* than a round brilliant or cushion cut. * The colorful/rainbow-like light return found in moissanite, rather than the fire you’d typically see in a diamond, it’s due to moissanite being doubly refractive, and diamonds are singly refractive. Is the pear cut available in Neo or Supernova? Also, how does a moissanite pear cut rate as far as sparkle and fire? I have always loved the pear but I’m also really living the cushion cuts. I want to make sure when I make my choice/purchase, I’ve done my home work and found the best choice and price for me. Thank you!! Pear cuts look really small for their carat size, FYI, meaning a 1.5 ct pear cut looks WAY smaller than a 1.5 carat round. Thank you Jen for your response!!! That she is beautiful!!!!! If I were to go with a cushion cut, what type of Moissanite would give me the most fire and sparkle? Theo you again for your help!! I’m torn between Neo, supernova and F1 moissanite. 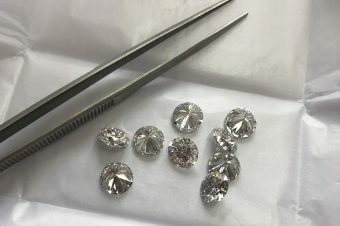 I’m looking for round near colorless stone, which sparkle like diamond (not really like the rainbow on round brilliant. Can you suggest which one is the best? Uh oh and also did they done the OEC cut? I’ve been looking at C&C Moissanite and now I’ve just come across all your information regarding Supernova and Neo. Can you articulate the difference between these two and the C&C? Hi Karen! They are 2 additional brands of moissanite you can get now, as well as our ZAYA moissanite, a line of custom cut stones we are sourcing directly. Shoot us an email for more info! info@jhollywooddesigns.com. Our blog has all kinds of awesome information for you to learn about our stones, as well as each of our Stones pages, that details out all kinds of yummy stuff about each brand we carry. Thanks!